We did more. We did it spectacular! 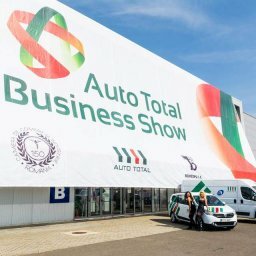 During 25 and 26 June 2013 AUTO TOTAL BUSINESS SHOW 2013, held its second edition. 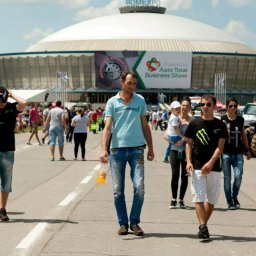 A Romanian event dedicated to automotive manufacturers, aftermarket parts and original equipment service stations. With the 2012’s success this year was a challenge for the organizers. How can you improve a successful public event and, at the same time, not to repeat the formula of the previous year? AUTO TOTAL BUSINESS SHOW 2013 total surface was 18,000 sq m, 7 times higher than in 2012. You do it more interactive! 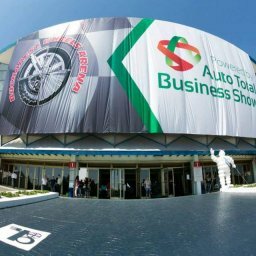 Over 30,000 visitors have interacted with more than 50 exhibitors during the 13 hours of AUTO TOTAL BUSINESS SHOW. 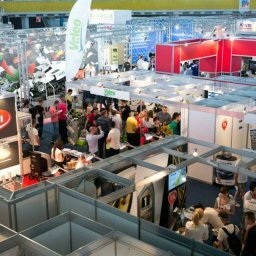 They had the opportunity to test the exhibited products; they took part in free trainings about the installation and disassembling of components and put into practice the acquired knowledge for winning competitions held every hour. You do it more spectacular! AUTO TOTAL BUSINESS SHOW 2013 has been the host of the only F1 simulator in the world that generates a force of acceleration up to 3G of the most realistic MotoGP simulator and a Pitstop competition in which participants had to change the wheels of a single user Formula 1 in the shortest time possible. What’s spectacular about that? In the two-days event were driven over 2,300 km in Formula 1 simulator, over 1500 km in MotoGP simulator and have removed / installed over 1000 Pitstop competition wheels. With an average of 32 visitors per minute, we could not stop here in terms of activities and demonstrations, therefore under the aegis of “Bucharest Wheels Arena 2013 Powered By Auto Total Business Show 2013” we had Chris Pfeiffer, two wheels world champion acrobat, Marius KNS, Cristi George (Mouse), RazvanTica (Two’s), Trajan Jumy And Alex Gorgan (Kellu) for drift section, Vali Porcisteanu and Manu Mihalache, riders in the National Rally Championship clubs in the country, OFF ROAD TEAM KAMIKAZE GTC Motorsport T44 AND BGS Motorsport off road. Besides all these, there were a vintage cars exhibition and an automotive tuning exhibition where clubs like MIDNIGHT RACERS ROMANIA, NO SPEED LIMIT, SKODA TOYS, GHETTO TUNING, OVERSPEED TUNING CLUB, STREETART, CUSTOM SHOP, BERTONE ROMANIA, MYSUZUKI, ZZ TUNING, STREET MANIACS, UNKNOWN CLUB AND MADNESS CREW attended.